In order to meet the needs of eligible Sandy survivors, FEMA has extended the Transitional Sheltering Assistance and Individual Assistance programs until Feb. 9. The Federal Emergency Management Agency approved a two week extension to the Transitional Sheltering Assistance program. The Individual Assistance program has also been extended by 30 days. The Transitional Shelter Assistance program is a short-term program, and applicants must be checked in by Jan. 26 to be eligible. The first step in becoming eligible for any FEMA relief programs is registering with FEMA. Registration can be done online at www.DisasterAssistance.gov; by calling 800-621-FEMA (3362) by phone. FEMA has an app for smartphones and tablets, through which applications can also be placed, or by going to m.fema.gov. The extension comes at the request of Gov. Andrew Cuomo, and will allow eligible victims of Superstorm Sandy who are unable to stay in their own homes to find shelter in participating hotels and motels until federal funding for repairing damaged properties can be obtained. “We remain committed to assisting all victims of Hurricane Sandy, ensuring that they have the shelter they need, especially in this cold weather, Governor Cuomo said. “The Transitional Sheltering Assistance program will continue to provide shelter to those New Yorkers who do not have homes to return and help others with critically needed funding to rebuild. 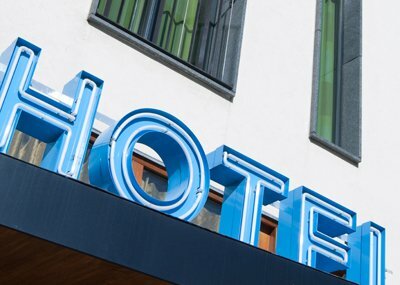 Eligible applicants will now be able to stay in participating hotels until Feb. 9, and those who are eligible should expect to receive a call from a FEMA representative to notify them of the extension. The new checkout date will be Feb. 10. Supreme Court Upholds Individual Mandate, Key Component of "Obamacare"
Subject: LongIsland.com - Your Name sent you Article details of "FEMA Extends Housing and Individual Assistance Programs by Two Weeks"